If you’ve recently been diagnosed with colon cancer, you’re probably wondering how the disease is treated. Here’s what you need to know. For very early stage cancer that is localized to the surface of the colon, surgery alone is generally sufficient. However, for some patients, there’s a risk the cancer will come back (recur), especially if tumor cells have spread deeper into the colon wall or to nearby lymph nodes. Your oncologist assesses your risk for recurrence based on the pathology of the tumor cells and results of imaging tests. There’s a bit of good news for some patients who need chemotherapy, Dr. Oberstein adds. New data released about a year ago found that for select, lower-risk patients, a three-month regimen of chemotherapy following surgery produced outcomes that were just as good as six months of chemo followed by surgery. Patients lived about as long without their disease returning. “Three months of chemotherapy is a lot easier to handle than six months,” he says. However, the standard of care for most patients is still six months. Following treatment, your oncologist will monitor you closely for about five years with colonoscopy, CT scans, blood tests, and physical exams to look for signs your cancer has come back. 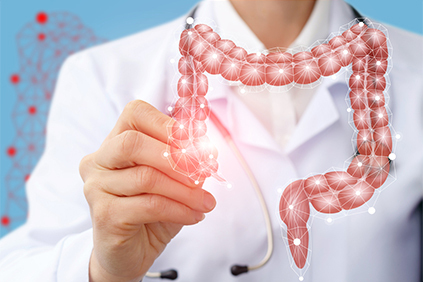 Colon cancer is most likely to recur within two to three years after surgery, Dr. Oberstein says, with the risk ranging from about 10 percent in patients with stage 1 cancer to about 50 percent in patients with stage 3 cancer. What happens when cancer spreads? About 20 to 25 percent of patients are diagnosed with metastatic colon cancer (stage 4). For them, the disease is not curable and surgery is not an option. However, oncologists do have therapies to offer. Patients who are on what’s called first-line therapies generally do well for about 10 months to a year; individual patient’s responses can vary widely. Then, the therapy becomes less effective because the tumor cells develop resistance to the drugs. At that point, it’s time to try different drugs (called second-line therapy). You may also need to change medications because the side effects become intolerable. “We do this as an iterative process where we’re continually chasing the tumor,” Dr. Klempner says. Your oncologist may perform additional tests to see how the tumor found a way around second-line therapy. The hope is that this information will help your provider chose the next line of therapy. Unfortunately, each subsequent round of therapy provides slightly less disease control. Fortunately, the science is evolving rapidly for treating advanced colon cancers. There are new, targeted therapies and immunotherapy treatments for patients whose tumors have specific genetic mutations or biological features. Try to educate yourself about your disease, says Dr. Klempner. “Knowledge is a very powerful tool.” Obtain more than one opinion and be an advocate for yourself. Know your own body. If something doesn’t seem right during treatment, talk to your health care provider. Be evaluated by a multidisciplinary team before and after surgery, Dr. Oberstein says. Make sure you feel comfortable your team can answer important questions, such as what stage is your cancer, what is the risk of recurrence, what will treatment accomplish, and is this the best thing for you. Finally, Dr. Klempner says, use all available resources to help you with the non-medical aspects of your disease, such as eating well during cancer treatment and managing the financial burdens of a cancer diagnosis.